When writing this 32red casino review, the main reason for us to show interest is that it is known as one of the most trustworthy gambling operators working from Britain. It was founded in 2002 – and has developed a stellar reputation for its size, the awards it has won and the hundreds upon hundreds of highly positive reviews from its users. 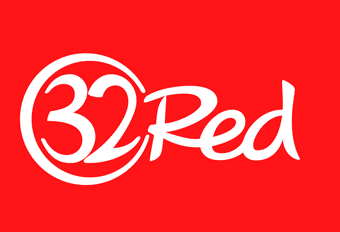 32red casino is owned by 32red PLC and is licenced by the UK Gambling Commission. It is also audited by eCOGRA. As well as offering an online casino, the company also offers bingo sites and sports betting. They are believers in ethical gambling – offering support to organisations such as Gamblers Anonymous, Gambling Therapy, and Gamcare. The site offers 24/7 support – live chat – which is impressive – as well as connecting my email and by Skype. The level of customer support was the most mentioned positive by customer reviewers – so something to be considered as important in any 32red Casino review. The reason why a 32red casino review should be positive is because of the level of transparency on the site. It publishes reports from eCOGRA – which audits the site – and shows that return-to-player percentages are generous. The site is developed with the help of Microgaming. Microgaming is one of the oldest games developers in the sector, with well over 20 years of experience. This is a company renowned for the quality and usability of the games developed. They are intuitive and attractive. The feature we like the best is the pop-up side-bar that appears when you are within a game. This sidebar then gives you connected links that might be of interest to you – based on this selection of gameplay. This treats the player like an individual and considers where they might want to play next. The games on the site can be played in-browser – with an instant play button, as well as downloaded. There is also a great mobile experience – particularly on tablets – and there are also live dealer games provided by Evolution Gaming. There is a iOS and Android app available – and these provide a top quality experience of the site – both in demo mode and when playing for real money. Despite the quality developer, the games on the site can appear outdated. However, another name for outdated is traditional – and there are some of the classic games – played in the classic way – that some gamblers will really appreciate. The titles are ones that may seem from yesteryear, but the graphics, animation and sounds are all top-notch and modern. Quality does not always mean innovative in concept – but in the collection and presentation of games. It is important in a 32red casino review to praise the demonstration modes offered – which mean that players can easily access a game and learn the ways of playing before switching to the real money mode. There are literally hundreds and hundreds of games on this site. There are 461 slots alone – including Mega Moolah and a Game of Thrones themed slot. There is a lot of repetition between the slots – and quantity does not necessarily mean variety. However, it is enough slots to suggest that there will be something you will enjoy. There is also a great range of poker games on the site – there are some 59 poker games available – including All American Poker and Double Joker Poker. We enjoy the 70+ blackjack games the most – and out 32red casino review sees this as the ultimate 32red welcome bonus for playing at this long-established site. Our particular favourite is Spanish Blackjack – though there is obviously something for everyone here. 32red was not known for the quality of its live dealer games. However, it has improved massively in recent years – and now enjoys HD video quality live dealer experiences provided by Evolution Gaming. Evolution Gaming are award winning providers of live gaming experience – and this has done wonders for the 32red casino. You will not be blown away by the 32red welcome bonus. In total you can earn around £160 from the 32red welcome bonus. This is not a figure that can compete with the hundreds of pounds offered by other sites – but there are not the same tight terms and conditions. This means that realistically – although the headline is mooted – the truth is you get the same from a 32red welcome bonus as you do from most sites. Bottom-line – even if you enjoy £160 of free play this should be enough of an incentive to try the site for a while and learn why you might want to stay. Although the bonuses and promotions on the site are not its strong point, there is a different 32red welcome bonus in using the site – and that is its loyalty program. You can earn points for play and the more you play the more benefits you will enjoy. This is not a site of gimmicks – it is a site that encourages long-term loyalty through solid practices and reliable outcomes. There are reasons why companies in any sector reach a high level of performance and earnings. It is because they are good at what they do. When coming to our conclusions in this 32red casino review, we thought it important to see beyond the flash and superficial offers of sites and see what 32red do. They produce quality games, with a lot of variety and with transparent pay-out policies. What more should you ask from your online casino experience than this? With the backing of Microgaming and Evolution Gaming we predict that 32red casino will continue to go from strength to strength – as this is what happens when you work with award winners!